Puoi visionare il catalogo on-line direttamente nell'e-commerce Exmoortrim gestito direttamente da Aylmer Motors e acquistare i prodotti desiderati. 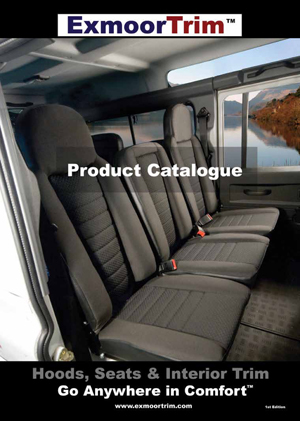 This is a comprehensive catalogue of all our products covering vehicles from 1948 to date. The part numbers have since been superseded. So please only use as a ref for information. 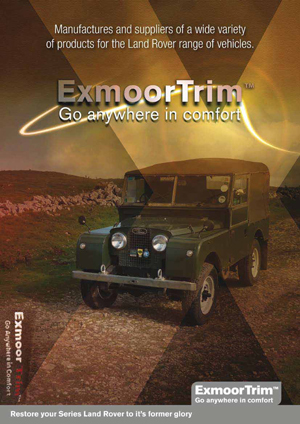 Our Brand New Catalogue is out now for the Series I, II & III Land Rover owner. With our Defender Catalogue ready on the July 5th 2010. 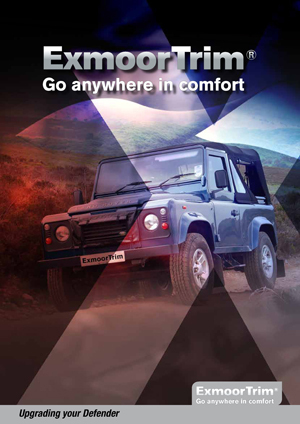 This is our New Comprehensive Catalogue of our products covering the Defender range. This is a comprehensive catalogue of all our products covering vehicles from 1948 to 1985. This shows the our range of specialist trim for these 50th Anniversary Land Rovers, Although the interiors were very similar to the standard model there were a few variations and that attention to detail we offer. Our NEW NAS Full Hood will be ready for sale in mid July 2010 call our office to lodge your interest and we will contact you with details when its ready. 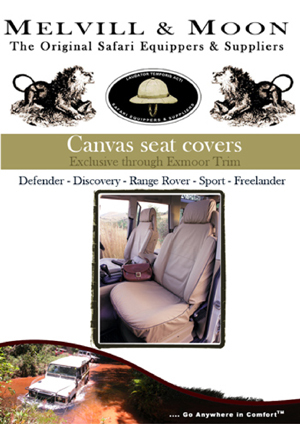 Exmoor Trim are the official Distributors for all Melvil & Moon Canvas protective seat covers for the land Rover Range of vehicles. 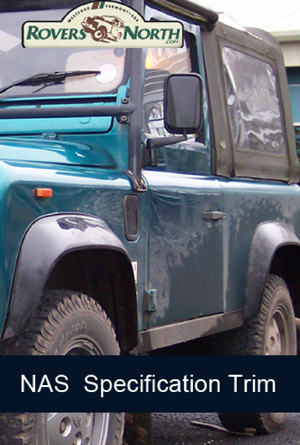 we hold a large range of Defender, Discovery, Freelander & Range Rover in stock with quality second to none.